Pepys and his buried parmesan, Charles II and the Duke of York directing the fire-fighting efforts, Lord Mayor Bludworth saying (allegedly) saying ‘Pish! A woman might piss it out!’, Wren’s grand plans for a rebuilt metropolis, and Thomas Farriner’s bakery in Pudding Lane: the main stories of the Great Fire of London are oft-repeated. So they should be: the Fire was one of the defining moments of Restoration history. These stories capture the imagination. However, we need to remember the ‘late, dreadful Fire’ went beyond these well-known figures. The Fire is a huge part of the continuing story of London’s resistance and resilience in the face of crisis, but this was a process that involved all Londoners. So when I started researching and studying the Fire for my PhD in 2005 (which became the basis for my book on the subject published this year), I wanted to show how people reacted to the disaster, going beyond the familiar stories. 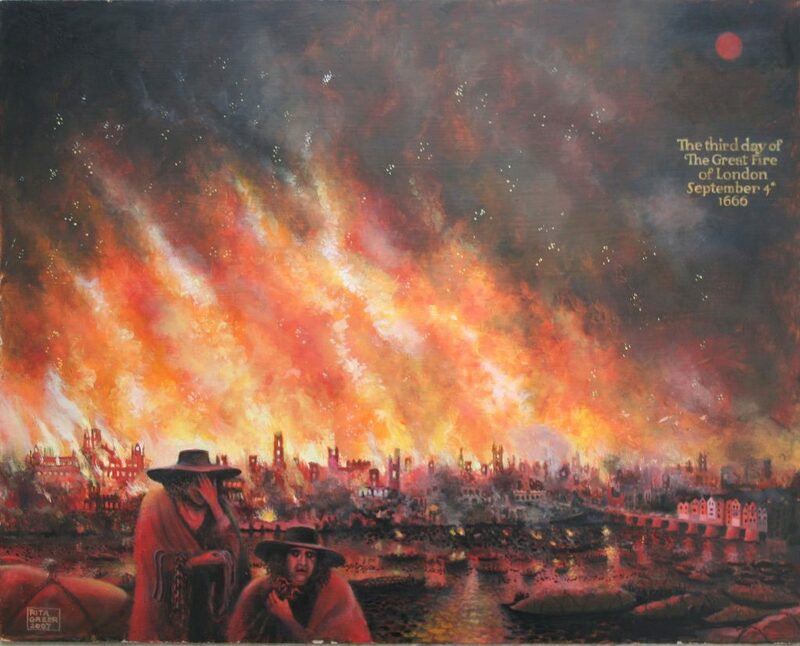 Sadly not all Londoners followed Pepys’ example and kept diaries recording their reflections on the Fire. Instead, my plan was to use statistical analysis of some of the metropolis’s vast range of primary sources (wonderfully stored and preserved by the London Metropolitan Archives and the National Archives at Kew, amongst other places), which entailed countless hours hunched over manuscripts of local and national government records, account books and rolls of taxation assessments. So what did this reveal to me? Firstly, the sheer scale of the conflagration. 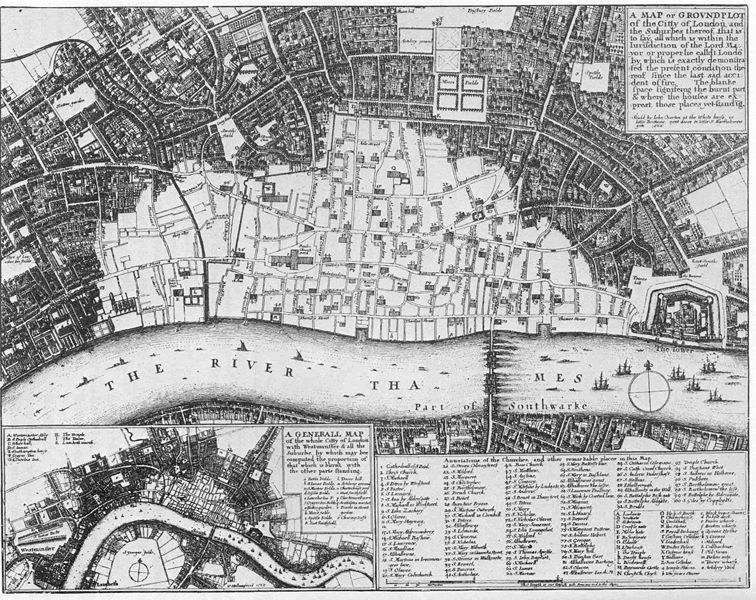 London in 1666 was far smaller than it is now (a population of 400,000 as opposed to over eight million today), but played just as central a role in the national culture, economy, society and political system. In just four days the ancient heart of the City was gutted. Over 13,200 houses and 87 parish churches were destroyed. As a result around 100,000 were left homeless, camping in the countryside and fields that surrounded London. As a result of a lack of carts (and price-gouging on the part of their operators) many lost all of their possessions. This was the greatest dislocation of population in early modern English history. Secondly, the great achievement that was the recovery. In truth, it could have been worse; the death toll had been small and the flames had not spread to the densely-packed housing and docks of the East End or the smart new developments and Parliament in Westminster (had the store of gunpowder at the Tower of London caught Fire or the easterly winds that had been fanning the flames not died down, it could have been different story). Despite reports of opportunistic crime amongst the smoking ruins and xenophobic attacks on foreigners baselessly suspected of arson, there was no mass breakdown in stability after the Fire. As always, most Londoners got on with business. Two Rebuilding Acts (passed in 1667 and 1670) regulated the reconstruction effort. A special court, which sat from 1667 to 1676, was set up to mediate disputes between landlords and tenants in the rebuilding effort. This Fire Court was vital because London property-holding was highly complex; three-quarters of households were tenant-occupied and subletting was common, meaning many properties had several layers of rights and rents. The judges (who did not receive a salary) heard four petitions a day, accounting for about one-fifth of houses destroyed in the Fire. Tenants who agreed to rebuild were rewarded with reduced rents and extended leases. Had this body not existed and worked so efficiently, legal wrangles might have held up rebuilding for decades. As a result, the bulk of the residential rebuilding was complete by 1672. A lack of funds and arguments between ecclesiastical authorities held up the rebuilding of parish churches, so it took until 1695 for the last one, St Andrew-by-the-Wardrobe, to be rebuilt (understandably the great achievement that was St Paul’s Cathedral took even longer, only being declared complete in 1711). Thirdly, and finally, although my main aim was to look at the recovery in aggregate through a quantitative perspective, I was struck by the stories of individual Londoners and their personal experiences. Some were heart-breaking whilst others were up-lifting…. The White Horse Inn on Lombard Street was run by Frances and Abraham Browne. Six months before the Fire Pepys had visited and recorded that Frances was ‘very pretty’ but Abraham ‘the simplest looked fellow and old’. Sadly in February 1667 Frances threw herself in the Thames as ‘she hath had long melancholy upon her, and hath endeavoured to make away with herself often’. Abraham rebuilt the property; in return the Fire Court decreed that his landlord should half his rent to £20 and add 40 years to his lease. A Dutch baker who lived in Westminster, Rietvelt was falsely accused of trying to set fire to his own house, probably because he was foreign. He was imprisoned but while detained his house was ransacked by a violent crowd and all his goods were stolen. A Royalist poet and playwright, James Shirley and his wife Frances lived in Fleet Street. After the Fire they fled north-west to the parish of St Giles-in-the-Fields. Sadly, according the antiquarian Anthony Wood ‘being in a manner overcome with affrightments, disconsolations, and other miseries … they both died within the compass of a natural day’. One of the places homeless Londoners gathered after the Fire was in the fields around Islington. There, Gaddesby, a wheelwright had a warrant issued for his arrest for his ‘opprobrious words’ towards the effort to help the unfortunate. He was fined, but not further punished – authorities hoped it would ‘produce a compassionate disposition towards distressed people who remain in the neighbourhood’. ‘not sore much as A stool[e] to sit[t] up[p]on’. 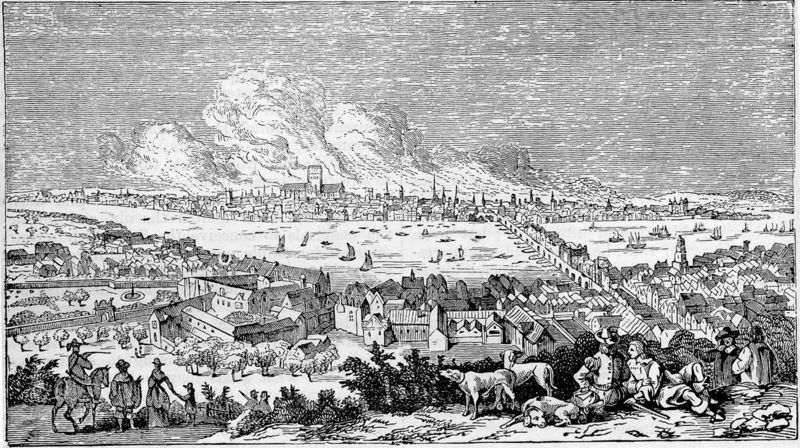 Charles II personally intervened in helping London recover, for example by donating £100 to pay for labourers to clear wreckage from the streets in October 1666. He responded to petitions from fired out Londoners. One was from Pierce, formerly yeoman of the palace kitchen, whose property and business on Cannon Street was burned down, costing him over £4,000. Pierce petitioned Charles II to allow him to use the hall of the Cooks’ Company near Aldersgate (which had survived). In response, Charles II wrote to the Cooks’ Company asking them to allow Pierce to use their hall until ‘it shall please God to restore him by his … industry to a condition of building … (a) Dwelling’. As a result in August 1667 Pierce could set out foundations for a new house on the site of his former residence in Cannon Street. According to the 1675 Hearth Tax he was still there, nearly a decade later. ‘reduced to a low Condi[tion] and utterly unable to support himself’. He was granted £3 per week, which he received until he died in 1680. Crisis and disaster have been commonplace throughout London’s history; but from being sacked by Boudica to the Blitz, the metropolis has abided. London and Londoners have remained resilient, industrious and phlegmatic. The response to the Great Fire was no different. Ultimately, although there were personal setbacks and calamities, most Londoners recovered from the blaze. Some returned to rebuild in their old neighbourhoods, others moved to the suburbs. 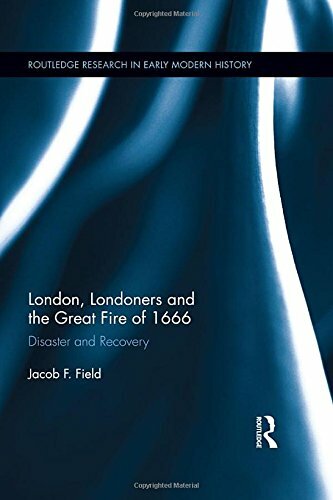 The Fire was, without doubt, a short-term crisis but in the long-term it did not stop the growth and development of London into one of the great cities of the world. 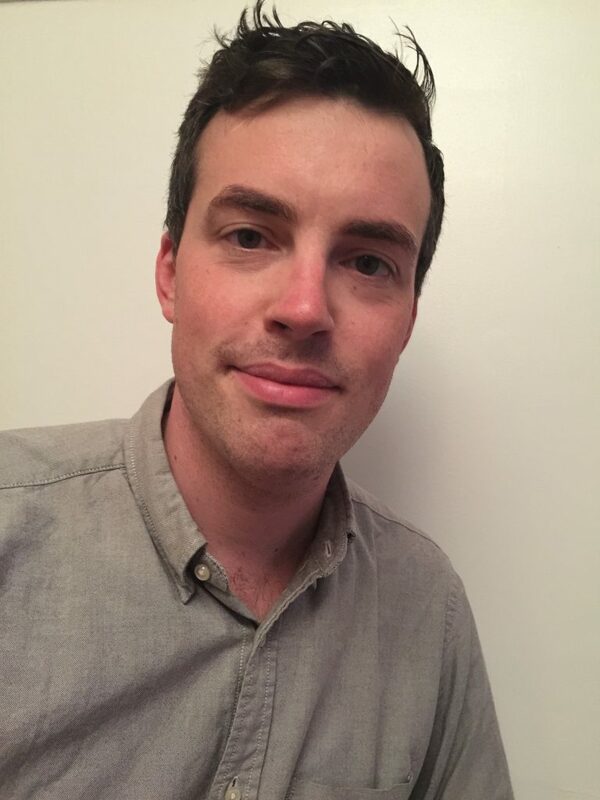 Jacob F. Field completed his undergraduate degree in history at Oxford, and then moved to Newcastle for his PhD on the Great Fire in 2008. From 2008 to 2012 he was a research associate at the Cambridge Group for the History of Population and Social Structure. There, he was part of a research project examining the occupational structure of Britain from 1600 to 1900. In 2012 he moved to New Zealand, where he taught at Massey University and the University of Waikato. In 2016 he returned to England, where he continued at Cambridge, where his research focuses on the economy of early modern London. In addition to his book on the Great Fire, published this year, he has also written three books for a popular audience: One Bloody Thing After Another: The World’s Gruesome History, We Shall Fight on the Beaches: The Speeches That Inspired History, and D-Day in Numbers: The facts behind Operation Overlord. His next book is about the successes and failures of capitalism. Great to see focus on the ‘everyday’ Londoners. While the famous figures are obviously a big part of the story, it’s really important to remember it was the ordinary folk whose lives were turned fully upside down by the fire. Some very interesting details here of how various people fared in the aftermath. The mental trauma was hard for anyone to deal with but it’s a pity so many suffered such financial devastation as well. The Fire Courts, however, did an amazing job in many cases. In an age that’s generally considered full of cruelty and ‘every man for himself’, it’s surprising just how much compassion and justice you can find if you read enough sources. It was nice to see the word ‘uplifting’ used in this article. No doubt lots of others felt the same way. Yes, both Samuel and his wife were traumatised, understandably. I’m sure there were thousands of people who experienced mental distress to varying degrees as a result of their experiences. With understanding of the mind so low, there would have been little effective help for them, but it’s something I’m planning to look into. I’d be interested in accounts of psychological symptoms and how sufferers were viewed. Although mental disorder was misinterpreted for the most part in the 17th century, I’d hope people were able to understand it a bit better in view of the circumstances of both the fire and the plague.